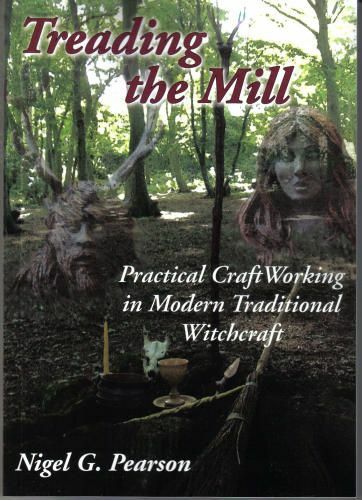 An original, practical and very effective book on traditional witchcraft rituals, spells and much more brought into the 21st century. Introduction; Explanations, definitions, acknowledgements & thanks. Chapter 2. WandCrafting; What is a Wand? Aspects of Traditional Tree Lore, Dryads, Types of Wood, Tree Properties & Attributes, Cutting wood for magical purposes, Creating your Wand, Finishing off your Wand, A Hallowing Rite. Chapter 3. Raising the Cup; Introduction, The Cup, Raising the Cup, Wines, The Recipes, Other Brews. Chapter 4. Entering the Twilyte; includes techniques of focus, concentration, visualisation, raising energy, trance-work and projection. Chapter 5. SpellCrafting; What is a Spell? Charms & Chants, Herbal Magic & Wortcunning, Simples Potions Oils & Lotions, Elemental & Nature Magic, On collecting plant materials for magical use. Chapter 6. SpiritWorking; Introduction, Spirits of the Natural World, Spirits of Home & Hearth, Concerning Familiars, The Fetch Body, The Ancestors & The Mighty Dead, The Elvenkind or Faerie-folk. Chapter 7. Approaching the Powers; Introduction, The God (King of the Woodland, Lord of the Mound, Master of Light), The Goddess (Bright Queen, Dark Queen).